The gymnasium at Little Miami High School has played host to dances, basketball games and pep rallies over the years. But on Saturday, April 28, the gym will be transformed into a display space for hundreds of visual art pieces. 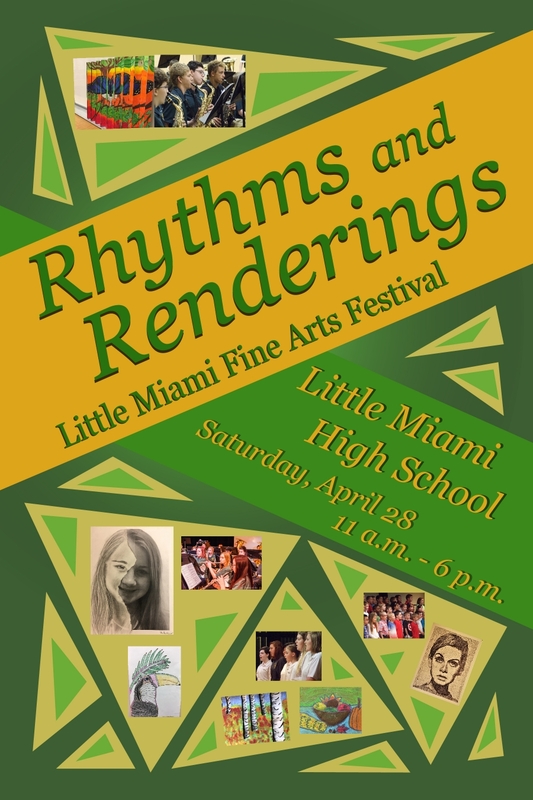 The Little Miami Fine Arts Festival this year will feature artwork students in grades K-8 and selected high school pieces, filling the gymnasium with displays of creativity from all ages. This visual art collection will be combined with a day of student musical performances including bands and choirs to provide a sampling of fine arts education from around Little Miami. Hours this year are 11 a.m. to 6 p.m.
Refreshments will be available throughout the day. Choir boosters will have concession items from 11 a.m.-2 p.m. The LM Band Boosters will be providing meals from 2-6 p.m. On the menu is pulled pork, mac and cheese, green beans and dessert. Cost is $7 for adults and $6 for seniors and children.